Despite the evolving role of anti-VEGF medications in the treatment of retinal disease, laser photocoagulation remains a mainstream treatment pathway for patients with diabetic retinopathy, enabling ophthalmologists around the world to alleviate the causes and symptoms of vision loss associated with the condition. 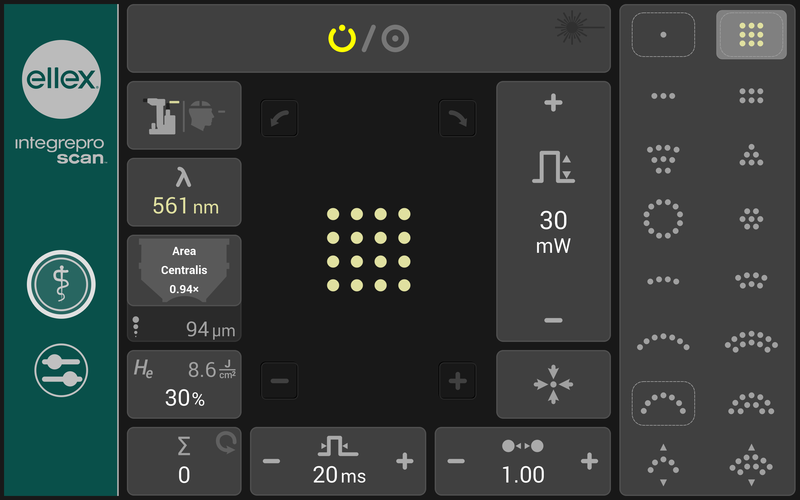 Ellex’s range of retinal lasers has been created to meet the needs of physicians who prioritize treatment consistency across a wide range of pathologies. Both our Integre ProTM and our Integre Pro ScanTM models incorporate Ellex’s True SpotTM technology, which delivers excellence in visualization and illumination, alongside enhanced depth perception and a wider peripheral view. Each system features real-time, active light feedback, which continuously monitors and adjusts power output. Our technology delivers uniform energy distribution across the full spot diameter, eliminating hotspots and ensuring you can achieve optimal, homogenous burns through precise power titration. The value of photocoagulation in clinical practice has gained further significance in recent years with the development of pattern scanning photocoagulation — the application of laser spots in a series of configurable arrangements and wavelengths appropriate to the patient’s pathology to radically improve the efficacy and efficiency of the treatment method. Integre Pro ScanTM incorporates leading-edge pattern scanning, offering a comprehensive pattern and wavelength choice to cover all retinal pathologies. It is matched with an intuitive tablet user interface for easy, accurate and precise pattern spacing, shaping and positioning, which gives you the ability to treat patients up to twice as quickly than is possible with conventional single-spot photocoagulation.